What with polar bear populations higher than they were 50 years ago and with many bears onshore during the ice-free season, a few polar bear attacks are to be expected – but how does the behaviour that drives those attacks compare with their closest evolutionary cousin, the grizzly? I’ve done some summer reading on this topic, which I’ve summarized below. The results may surprise you. Figure 1. 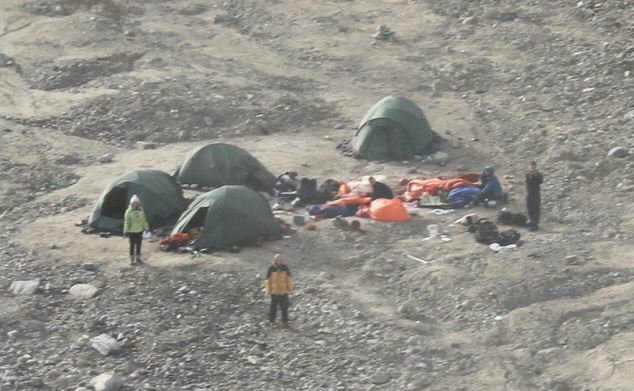 From a recent article in the DailyMail (July 8 2014) about the inquest into the polar bear attack on a group of Eton schoolboys in Svalbard, Norway: “The camp site where Horatio Chapple was mauled to death. Witness Matthew Burke said: ‘The bear reared up and then slammed itself down on to Horatio.’” Read it here. First, a quick evolution refresher course: according to both fossil and genetic evidence, Asiatic and American black bears are the oldest living species of bears (Herrero 1972), with grizzlies (aka brown bears) and polar bears arising sometime later (the exact timing depends on the kind of information you use and how the analysis has been done: there are a variety of answers). 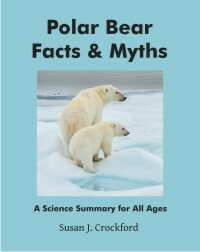 Fossil data indicate grizzlies arose less than 1 million years ago and polar bears even more recently (oldest polar bear fossil ~130,000-115,000 years old) while genetic data suggest both are much older (Figure 2), see my previous posts listed at the end of this essay. Figure 2. 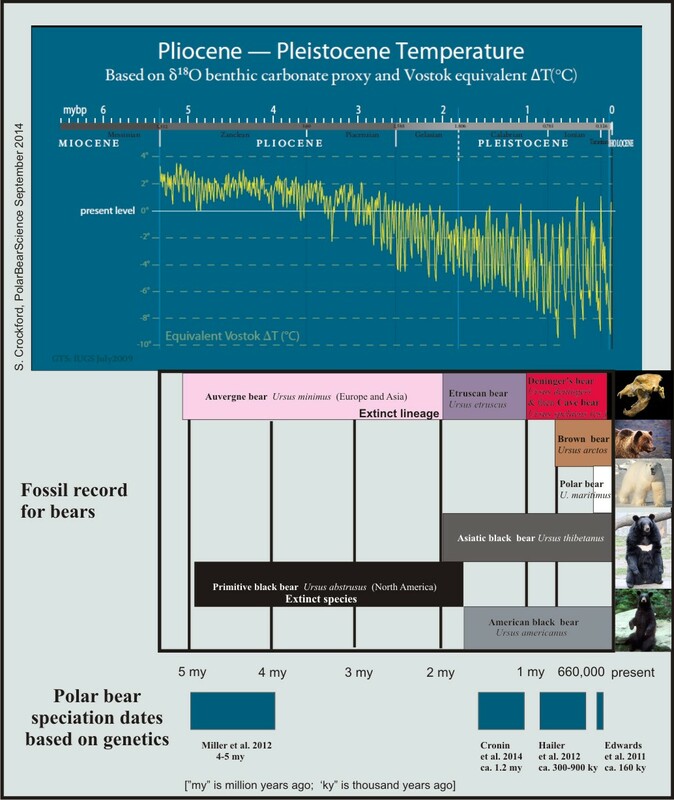 A summary of bear evolution according to the fossil record, relative to climate change over the last 5 million years or so (based on proxy data from the Vostok ice core in Antarctica). 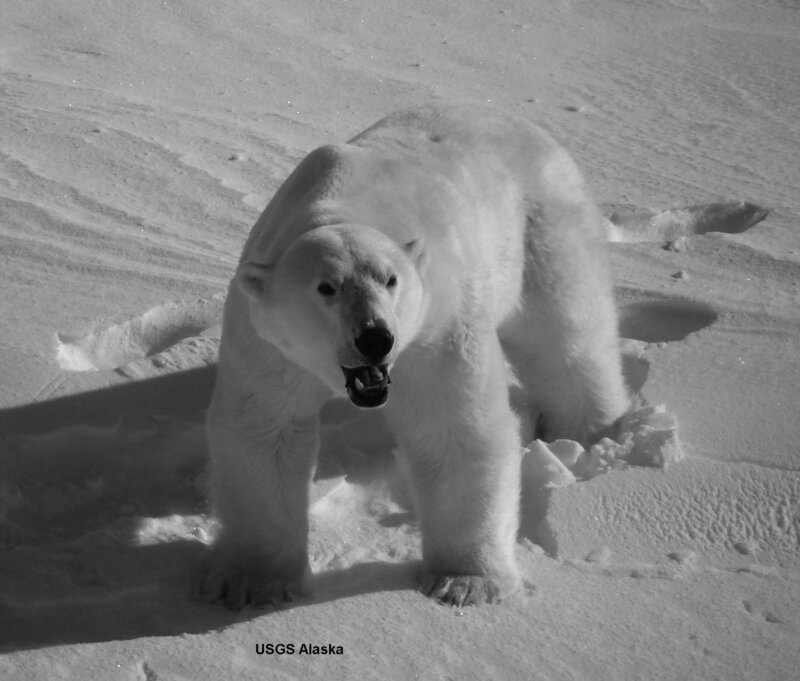 Living species (Asiatic and American black bear, brown bear/grizzly, polar bear) have only existed for 2 million years at most, according to the fossil record; but dates of polar bear and grizzly speciation based on genetic analysis vary widely. Figure 3. 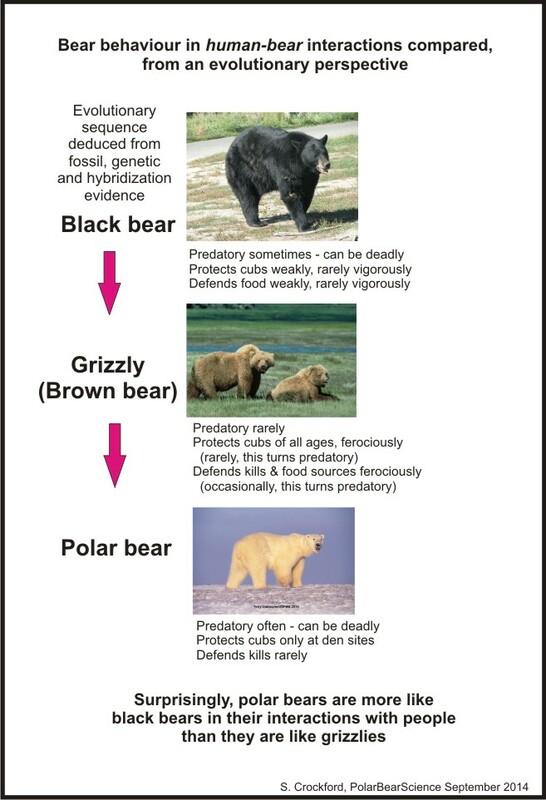 A summary of bear behaviour by species as it relates to attacks on people, contrasted with the evolutionary relationship of the bears to each other. Black bears preferred “defense” of their cubs is to lead them away or up a tree – or just leave them to their own devises (Herrero 1985) – and seem to be rather easily driven off a carcass or other food source they’re feeding on, sometimes preceded by a bluff charge or two. Black bears are, however, well known for occasionally initiating purely predatory attacks on people (Herrero 1985, 2003; Herrero and Fleck 1990; Jonkel 1978; Sheldon 1997, 1998, 2001). 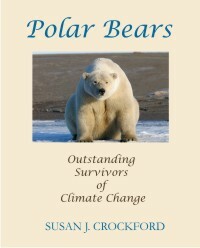 Few (if any) polar bears attacks are associated with defending a kill but predatory polar bear attacks on people are legion (Clark 2003; Dyck 2006; Gjertz and Persen 1987; Stenhouse et al. 1988). Grizzly behaviour towards people is quite different — females defend cubs of all ages and both sexes defend precious food sources ferociously (not only their own kills but those “taken over” from hunters or other bears). While a grizzly attack that started out as a defense of cubs or food may occasionally turn predatory (with intent to kill and consume), this is a rare outcome with grizzlies. Oddly, polar bears appear to be more like black bears in their responses to humans (as opposed to their reaction to other polar bears1), especially when it comes to predatory attacks. “Subsequent examination of the polar bear established its age to be around 24 years old. Bears in the Svalbard archipelago rarely reach the age of 25. In other words, polar bears (and black bears to a lesser degree) are known to treat humans as prey. Polar bears will stalk you, kill you and eat you as if you were a rare sort of seal and black bears occasionally do the same, as if you were a deer. The fact that grizzlies rarely do this is rather curious, given that grizzlies have a closer evolutionary relationship to polar bears than to black bears. Even in areas where they are hunted, grizzlies will beat up anyone or anything that violates their space, threatens their cubs or their food – sometimes with deadly force. Do evolutionary differences explain this conundrum? Grizzlies evolved in the company of other large and powerful Pleistocene predators (including now-extinct short-faced bears, and cave bears) that would have been serious competitors for food, and very real threats to cubs. So the hyper-defensiveness of grizzlies, who have always lived in rather open habitat, makes evolutionary sense. The smaller size of black bears and their greater evolutionary age means that they have a long history of being at a serious disadvantage against larger predators of all kinds, including grizzlies and large Pleistocene bears – so their propensity to flee and climb trees rather than fight makes sense. And it even makes sense that some black bears undertake some quite spectacularly vicious acts of predation on people – including starting consumption long before the victim is dead (Shelton 1998). Presumably, some black bears find out that people are not only ‘not a threat’ but almost as defenseless as the young deer and moose that form an important part of their diet in some areas. In a similar way, the lack of defensive response by polar bears fits their ecological niche, since they evolved in a habitat where they were virtually the only big predator around — and their enhanced predatory nature fits with their almost totally carnivorous diet. It just seems curious that grizzlies are so much less predatory than polar bears — and less so even than black bears. Another oddity of nature (for the moment, anyway). Footnote 1. Bear-to-bear behaviour, of course, is another matter – all species will vigorously defend themselves, their cubs, or their food, from other bears (or other predators, like wolves). But in the interactions between bear species – say between a black bear and a grizzly or a grizzly and a polar bear, the aggressiveness of the grizzly stands out. And as I’ve noted before with regard to hybridization, one of the reasons that grizzly x polar bear hybrids are almost always the result of a female polar bear mating with a male grizzly is because between the two species, grizzlies are the more aggressive – grizzlies dominate polar bears in encounters between them. Female grizzlies will take on male polar bears more than twice their size – and win. In the wild, a female grizzly would be far too aggressive to stand still for the sexual advances of the demure (relatively speaking) polar bear male. Zoo matings are another story, especially if the individual bears have lived together for a while. While it may be possible for black bears and grizzlies to mate successfully and produce fertile offspring, I’ve never heard of such a cross – suggesting they are black bear x grizzly hybrids are rare to non-existent. Cahill JA, Green RE, Fulton TL, Stiller M, Jay F, et al. 2013. Genomic evidence for island population conversion resolves conflicting theories of polar bear evolution. PLoS Genetics 9(3): e1003345. Herrero, S. 1985. 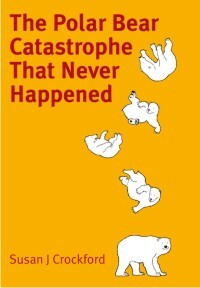 Bear Attacks: Their Causes and Avoidance, 1st edition. Nick Lyon Books and Winchester Press, Piscataway, N.J.
Herrero, S. 2003. Bear Attacks: Their Causes and Avoidance, 2nd edition. McClelland & Stewart, Toronto. Jonkel, C. 1978. Black, Brown (grizzly), and polar bears. Pgs. 227-248 in Big Game of North America: Ecology and Management, J.L. Schmidt and D.L. Gilbert, eds. Stackpole Books, Harrisburg, PA. This entry was posted in Evolution, Polar bear attacks and tagged bear attack, black bear, evolution, grizzly bear, human-bear conflicts, ice-free season, polar bear attacks, predatory attacks, sea ice. Bookmark the permalink.